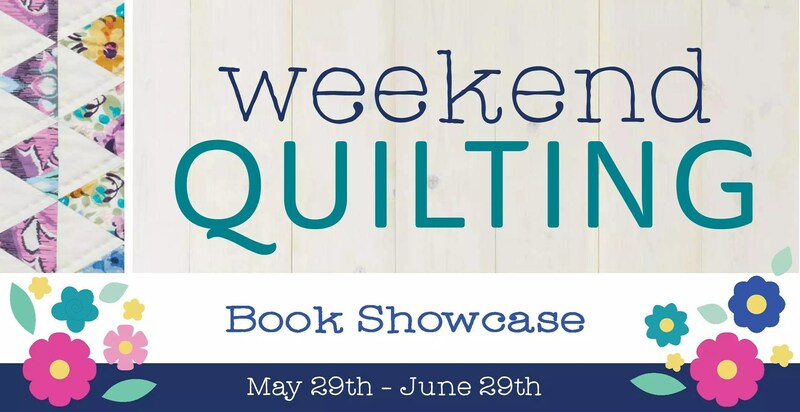 For those of you joining in for my stop on the Weekend Quilting Book Showcase, welcome to Molly and Mama! I’m so pleased to have you here. When Jemima from Tied With A Ribbon invited me to join in on her blog tour, I was thrilled. 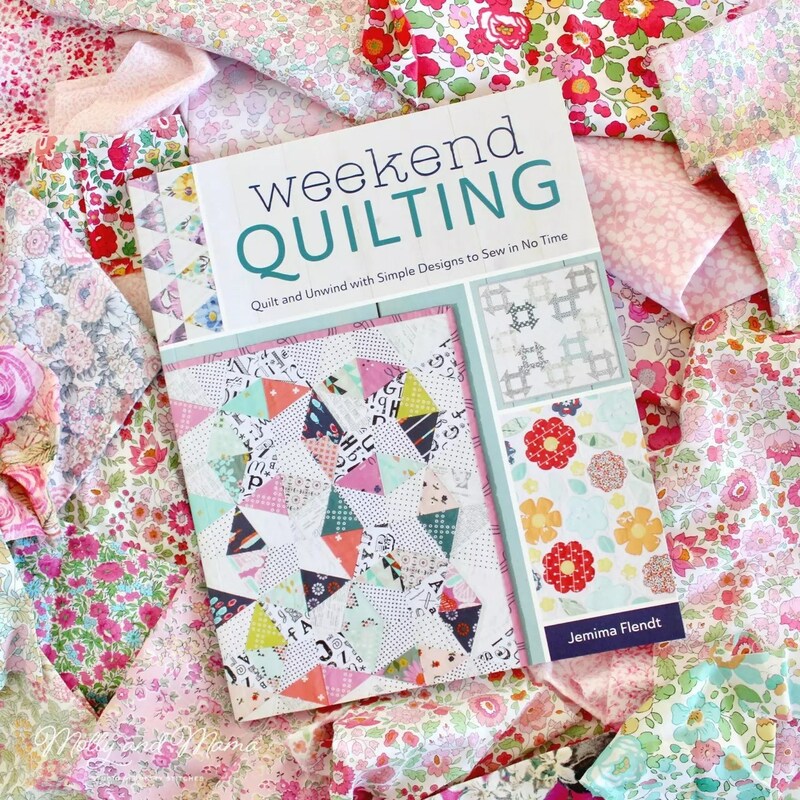 The title on the cover of her book Weekend Quilting says, ‘Quilt and unwind with simple designs to sew in no time.’ And this lovely book is filled with so many beautiful projects that will inspire your weekend sewing! I love the way that each of the chapters is organised around different quilting techniques. You’ll learn about the nine patch, half square triangles, flying geese, English paper piecing and more. There’s also a wonderful description of quilt making basics, including how to put everything together. Flicking through the pages of Weekend Quilting, I was immediately drawn to the chapter on Appliqué. If you’ve followed me for a while, you will know that appliqué was the start of my creative business! 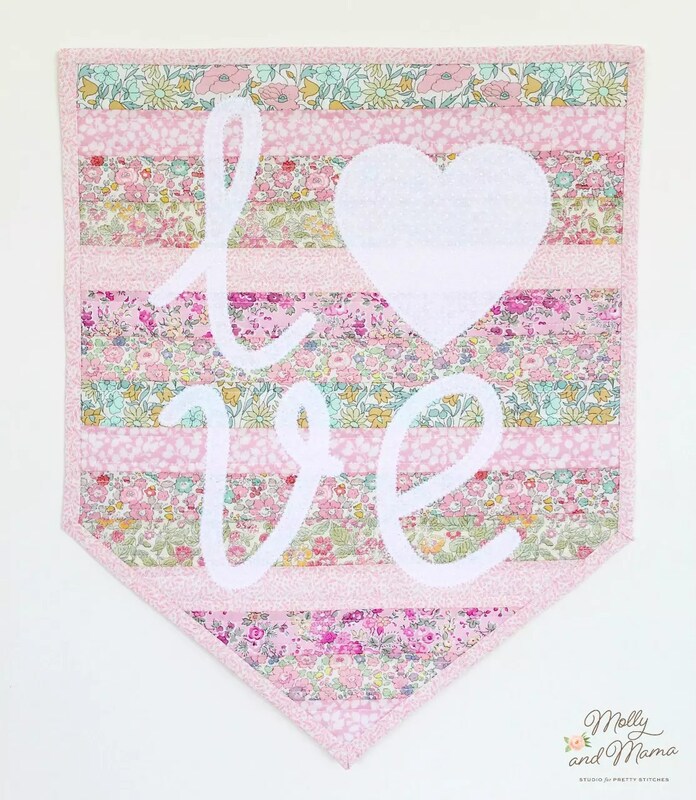 So I chose to sew the Love Pennant found on page 100. I also have a bit of an addiction to pastel Liberty Tana Lawn from Ava & Neve, so choosing fabrics for this project wasn’t difficult! 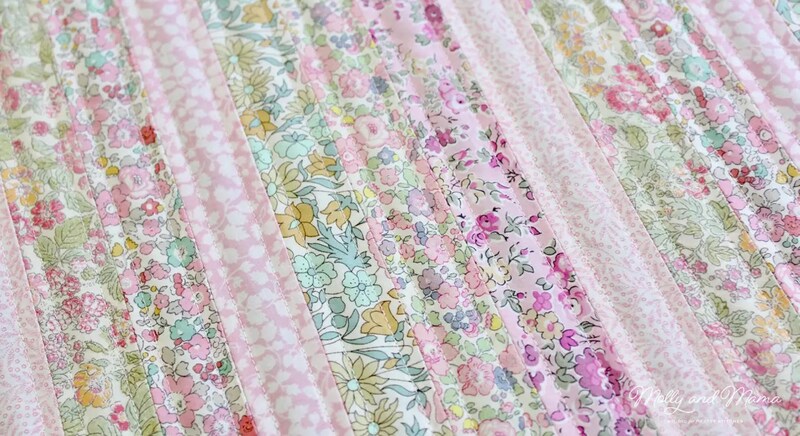 I love the way these pastel tiny floral prints worked together, despite being so different. They’re delicate and sweet, and shown off beautifully with this design. The instructions for the pennant were easy to follow, and the whole piece was made in a few hours. It was terrific to be able to use some of my precious fabric scraps too. I love projects that are simple to sew and quick to make, so this book was perfect for that! One of my lovely girlfriends is expecting, and I know that this piece will make a gorgeous addition to her baby’s nursery! I really hope she likes it. Thanks so much for joining in on the blog tour. Be sure to visit the other great makers listed below. 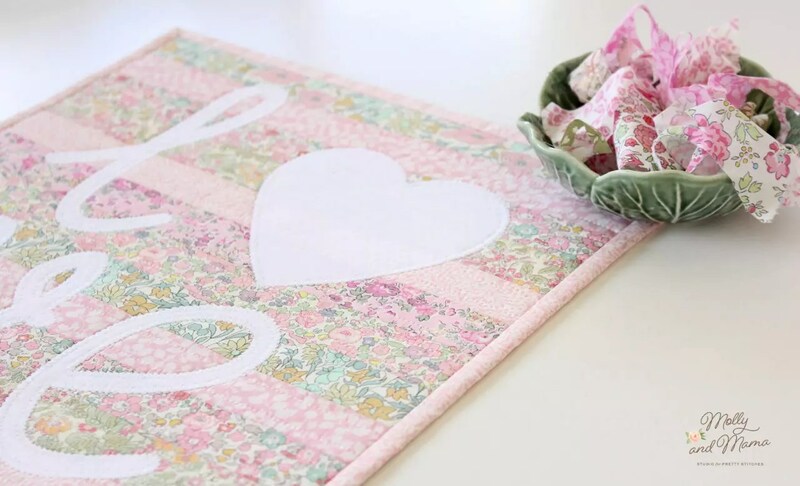 You’ll be so inspired by how they make the gorgeous projects in Jemima’s book their own. this is so fresh and clean — very pretty!